Key principles need to be considered and applied when you are deciding what grazing management approaches best suit the needs of your business and property. The tools which accompany this procedure will allow you to make some informed decisions as to what benefits different approaches may bring to your business, and where the merits of these approaches can be utilised. This procedure will help you combine your knowledge with key principles of grazing management for the best possible outcome. Any grazing management approach needs to be responsive and flexible enough to manage with variable land systems and seasons, along with the other forces which impact on decision making; hence, systems based on standard approaches or calendar-based programs of management are unlikely to be successful in the long term. Importantly, the approach that you choose to adopt in your business needs to capture the values which are important to your business health, livestock productivity and the environmental goals you have identified for your property. There are many grazing management approaches that you can learn about and consider implementing into your operation. Rather than cover the specifics of each approach this procedure is focused on what the key ‘must do’ tasks are to enable you to decide which approach, or combination, of more than one approach, that you choose to combine will best suit your operation. It is important to consider that an approach may involve a combination of facets of different formal approaches into your customised approach. Grazing management systems that are likely to be successful will have a series of principles which need to be applied to achieve the management objectives and targets. These principles need to allow a grazing manager to capitalise on opportunities offered by good seasons – for example, one strategy may be to respond by increasing stocking rates to match available feed levels and ideally achieve above average production, and at the same time allow natural resource management values to be realised. Similarly, successful grazing management systems enable producers to manage and reduce risk in poor seasons – for example, to respond by decreasing stocking rates to match available feed levels, and protect the production base by prioritising the maintenance or improvement of the most productive paddocks and areas prone to degradation, e.g. risk of erosion. As with any management approach that you adopt, constant and ongoing monitoring and management are required. You will need to continue to monitor seasonal conditions, and take action according to what conditions are prevailing, with respect to historical observations, and be decisive with your management. Before any paddock or land system can be managed, it is important that a business plan is created, (see Module 2) and then management objective is set. Whilst paddocks are the basic management unit, they sit on top of different land systems that may or may not neatly fit the dimensions of the paddock. This may require consideration when establishing objectives for the paddocks. In some cases, it may be necessary to consider realignment of paddock boundaries to better fit the land systems. However, in most cases the management objective will focus on existing paddocks considering the most productive land unit and the feed species that contribute to the productivity of these land units and the paddock. The paddock is judged to be in good condition with acceptable levels of productivity and general systems health. The management objective would be to maintain the current condition of the paddock. There is very little recruitment of new grazing species. The paddock is generally in good condition but has the potential to increase productivity by manipulating species composition or allowing key species to set seed, benefit from rest at strategic times. The management objective would then be to improve the current condition of the paddock. Establishing the objective should consider larger scale influences (i.e. property, catchment and region factors) to ensure that the basic unit of management is viewed as part of the overall system. Setting management objectives is a key part of all formalised grazing management approaches, and involves constant revision and updating of the objectives as conditions change and plans develop. The concept of multiple benefits (sometimes described as dual outcomes) seeks to provide environmental benefits in ways that combine with improved production, and ensures that production focused activities also deliver positive environmental outcomes. In order to make every post a winner, when making management decisions, it is imperative that new management delivers multiple benefits wherever possible. There are many government programs available to producers which assist with the costs of undertaking such improvement with a focus on supplying environmental benefits to pastoral businesses. A first point of contact is your local NRM organisation. They can advise you on what programs are operating in your local area that may be relevant and useful to your business. There are many approaches of managing the grazing component in the pastoral environment, and for all intents and purposes, they have similar goals and objectives: to facilitate a profitable business, whilst taking care of the natural resources upon and with which the business is operated. Assessing approaches to grazing management will require you to have completed your business planning followed by identifying specific NRM goals for your property. Once this is done, determine what changes in operations at the farm and paddock level will assist in achieving the goals. There are many factors influencing what grazing management system or part thereof you employ in your pastoral business. The reality is that many factors are on the table and trade-offs are often required from one part of the business to achieve the desired outcome. Achieving a balance between the different objectives will require compromise and the ideal management outcomes may not always be achieved; however, if the principles are adhered to over time, then progress towards the stated objectives will follow. An MLA funded project conducted between June 2008 and August 2010, compared the grazing management systems of nine farming businesses, to determine what impact they had on livestock, land and feed. The grazing management systems that were compared were cell grazing, rotational grazing and continuous grazing. See Signposts for reference to this project. The underlying driver of successful grazing management is the ability to manage stocking rates to the feed resource, regardless of the system that management is framed within. All participants had an interest in maintaining land health so even the continuous grazing system involved periods of pasture spelling and changes to herd numbers based on season. The findings supported the principle that indicates that stocking rate management and not grazing system, is the major driver of pasture and animal productivity and natural resource health. The more intense systems had higher infrastructure investments (e.g. fences, water). 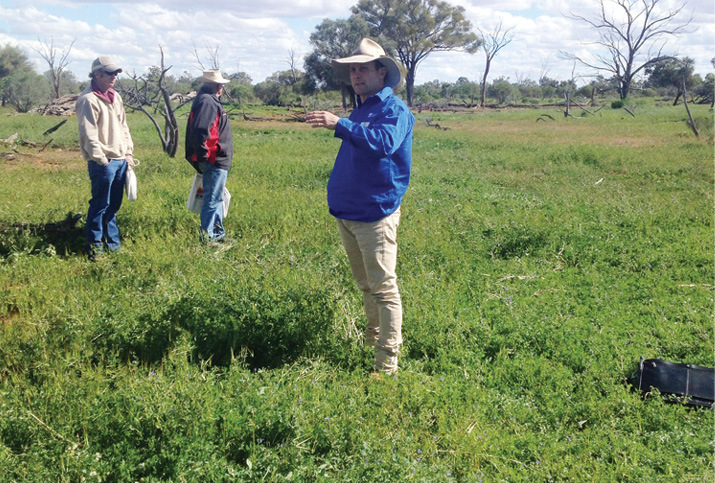 If the landholder is a skilled pasture manager to begin with, it is unlikely that the intense system infrastructure costs will pay off in terms of improved pasture or livestock productivity. You can use a similar format to come up with your own summary table. There are a number of publications, programs and service providers that can assist you determine which grazing management system and principles best fit with your own business goals and pastoral property. Stock levels set at conservative rate, i.e. a level where forced destocking is only rarely required (1 in 10 years). Most common in southern areas; widely used in the chenopod shrublands and mulga woodlands/shrublands of South Australia and Western Australia – where ephemeral and annual species provide forage when sufficient rain has been received, and the perennial shrubs are relied upon to provide feed at other times. Knowing the best time to destock or reduce numbers in worsening conditions. Common problems include leaving stock on too long when going into drought which causes declines in perennial shrub density. Can lead to increased and irreversible impact in practical terms in areas surrounding water points. Can be managed using simple plant-based indicators and spatial monitoring. Tracking of seasonal conditions occurs and livestock numbers are varied depending on seasonal conditions and forage availability. Usually some livestock is maintained on properties even in the worst years. Commonly used in the semi-arid woodlands of New South Wales and South Australia. This can have short and long-term financial benefits for pastoral enterprises when used to moderate extent, as very conservative stocking rates may not provide satisfactory economic returns in the short term. This approach is associated with higher economic and ecological risks and good managerial skills are required to implement this approach properly to minimise these risks. Practiced in tropical and subtropical savannah systems where there is a distinct summer growing season and perennial grasses dominate pastures. Stock numbers are set by forage available at the end of the growing season and the defined safe use levels for this forage. Once livestock have been allocated to paddocks at the end of the growing season, they usually remain in place until the end of the next growing season. Use rates of between 10% and 30% of standing forage at the end of the growing season are recommended, with the actual rate depending on the ecosystem and management context. Computer-based modules of pasture growth based on rainfall received during the growth season are sometimes used to estimate the appropriate livestock number to achieve the specified safe utilisation level.? While the system is a form of continuous grazing, it is ‘set use’ rather than set stocking. Rotational grazing and spelling systems take many forms but they usually involve multiple paddock systems. Many rotational grazing systems use regular spelling (or grazing) on a calendar basis or on the basis of the number of days grazing or spelling. Numerous systems are in use in the rangelands in the United States but few have been tested in Australian rangelands – some principles might be relevant. There is growing interest in this system in recognition that most native pasture species are not well adapted to continuous grazing, and some form of pasture resting/spelling is needed to let plants recover from grazing and complete their life cycle processes. However, there is little objective information to support or challenge the claimed benefits of rotational grazing, or the pros and cons of alternative rotational grazing schemes, so their value remains unproven. In systems where rainfall and plant growth are unreliable and unpredictable this approach may not offer any benefits. These systems (including cell grazing) can operate on recommendations that we consider inappropriate, such as the use of very high stock densities, often well above usually accepted limits. Despite a lack of explicit scientific evidence with which to refute them, they are contrary to normally accepted practice for protecting the soil surface and limiting plant defoliation. Other less formal or rotational grazing systems can sometimes offer benefits for natural resource condition. These can include opportunistic spelling (often with forced destocking due to drought and/or deferring the build-up of stock numbers following drought-breaking rains), or rotation of stock between water points in a paddock (especially where forced to do this due to seasonal waters drying up). Resting can also involve taking advantage of exceptionally good seasonal conditions to rest a few paddocks at a time. One problem with resting is that it is rarely done for sufficient time. Resting should occur for long enough to allow plant responses to reduced grazing. One difficulty in applying resting is a lack of indicators and rules for resting strategies. Where there is a variety of range types with differing plant communities and growth habits available within a single property, then it can be useful to devise rotational systems that take advantage of seasonal differences in growth, forage availability or resistance to defoliation. Tactical grazing involves adjusting stock numbers in accordance with changes in seasonal and climatic conditions and plant growth. The key principle underpinning tactical grazing is the need for grazing to be managed in a way that recognises the critical importance of perennial plants. These species must be able to complete all life cycle stages to ensure the persistence of plant populations. Decisions are made, based on plant condition scores, to alter stock numbers or destock. For example, in the semi-arid woodlands of New South Wales or wherever seasonal conditions are unpredictable, minimum stubble height (grazing residue) for perennial grasses is 10cm. The mortality of the grasses increases dramatically during drought by grazing beyond this limit. For regions where the climate (and rainfall in particular) is erratic and unreliable, tactical grazing is recommended. An important part of applying tactical grazing is the identification and definition of objectives and strategies on a paddock-by-paddock basis (Campbell and Hacker 2000). Tactical grazing acknowledges the potential for plants to be killed by grazing and for recruitment to be limited because grazing can limit growth, flowering and seed production. Regions with an erratic and unreliable climate are most likely to benefit from tactical grazing since many plants do not complete life cycle processes on a regular or annual basis. There are many processes, and products available to assist you in optimising your grazing management and resource base. The challenge lies in identifying the key points of each approach and determining which elements will facilitate outcomes which relate to your property management plan and business plan. Do some research into the various approaches, (table 12.1 above is a good place to start) and determine which elements are most applicable to your situation. One way of doing this effectively is to list the priorities of your plans, as well as the components of your grazing management approach, and then evaluate each grazing management approach according to the values and priorities in your plans. This will help you narrow down which approaches are the most suited to your business, and in doing so, will allow you to save time by not needing to do in depth research of all approaches. Sometimes a certain component of an approach will be particularly well suited to your operation – it is perfectly acceptable to find a way to adapt this into your current approach. Upon identification of your desired approach to grazing management, you will need to assess how your current infrastructure will accommodate this approach. You may find that you need to enhance infrastructure in one area to adopt your approach, and this will need to be incorporated into your property planning process. Development may take several years, and a gradual approach may be required to avoid unnecessary risk during the development phase of implementing your approach if it is different to your current one. Lookup your local Natural Resource Management Authority to find out if there are any financial incentives available for NRM projects that align with development of your grazing management approach. Collect information to make tactical decisions. These performance indicators are excellent indicators of how your plans are being implemented, and how your overall business goals are being met. These indicators tend to be seen earlier than some others; they are generally a precursor indicator, rather than an end result. For example, in some regions lower than average autumn rainfall will delay the germination of feed and a key date for assessing rainfall received can be an alert to assess feed on offer and stocking rates. These indicators tend to be seen later; they are generally an end result. For example, a low body condition score is the result of lower than ideal feed availability, relative to the number of animals grazing in the paddock. By the time feed quality and quantity have fallen enough to impact on body condition score, management options are reduced. A large number of tools are available to assist you with monitoring the performance and condition of elements of your business. To assist in assessing change in condition of paddocks and resources on the property, it is useful to adopt a formal monitoring system. These systems will allow objective assessment of different factors affecting productivity including: the balance of palatable and less palatable species, recruitment of new palatable species, the level of bare ground, the level of grazing utilisation of key grazing species, condition of watering points, and changes in weed populations or density. The ‘before and after’ photos in tool 5.9 show how well photos can visually record progress towards your vision over the years. Set up your monitoring site(s) in a logical fashion, and record their coordinates, or include their locations in your Property Management Plan, so that others are aware of the location of these. Seasonal variations can modify the times, but experience has shown that the twice‑per-year/stronger-and-weaker approach is fairly robust over time. Use the tools suggested in this and other procedures to monitor change in soil, pastures, salinity, soil pH, remnant vegetation or any of the key resources you have identified. Use the monitoring tools repeatedly over time to determine if the condition of your key resources is moving towards or away from your management objective. Collect information over a number of years so you can clearly see trends over time. Don’t commit to a program that is too demanding over time. The most important thing is to monitor the priority sites at about the same time each year to establish trends. Write these dates in your calendar or diary and commit to implementing your strategy over time. To ensure that progress is made towards your business objectives, it is important that monitoring is undertaken on a regular basis. The factors monitored should include animal performance targets: lambing, weaning, wool cut, wool strength, adult sheep mortality rates; land system and catchment health: erosion, bare ground, scalded areas, wetlands health; and grazing system: productive plants, weeds, recruitment, and feed on offer. The Glovebox Guide to Tactical Grazing Management for the semi‑arid woodlands (NSW DPI) has a step by step process of how to set up and maintain a monitoring system on your property over time.